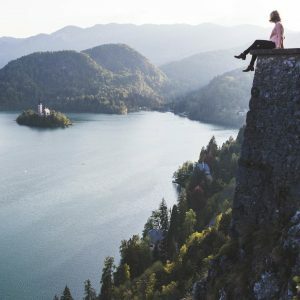 Romania has always fascinated me after I learned of its connection to the legend of Dracula and looked up photos of the Transylvania region. My favorite trips are always the ones that Jacob and I plan simply on a whim, and this was definitely one of them. 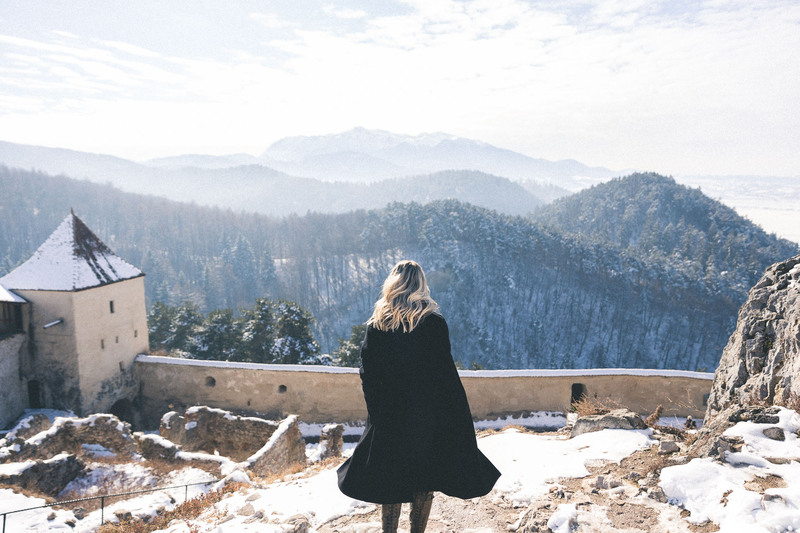 I can’t think of anyone I know personally that has visited the Romanian countryside or the beautiful town of Brașov, which is a shame – the entire region is fascinating with its mountainous roads, pastel towns, and historic castles! a charming pastel town with trendy cafés, sights, and nearby winter and summer activities. has beautiful towers and a preserved walled old town, listed by UNESCO as a World Heritage Site. 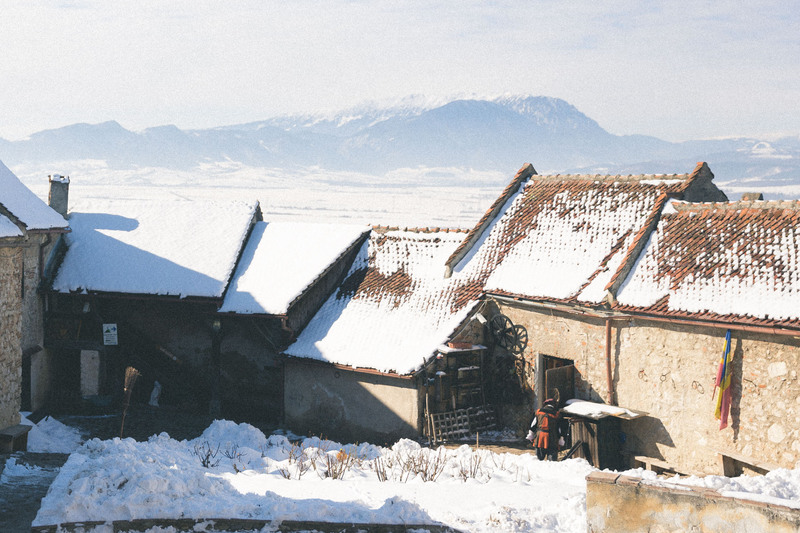 an old town with a fortress overlooking the Transylvania region & the home of Dracula’s castle. 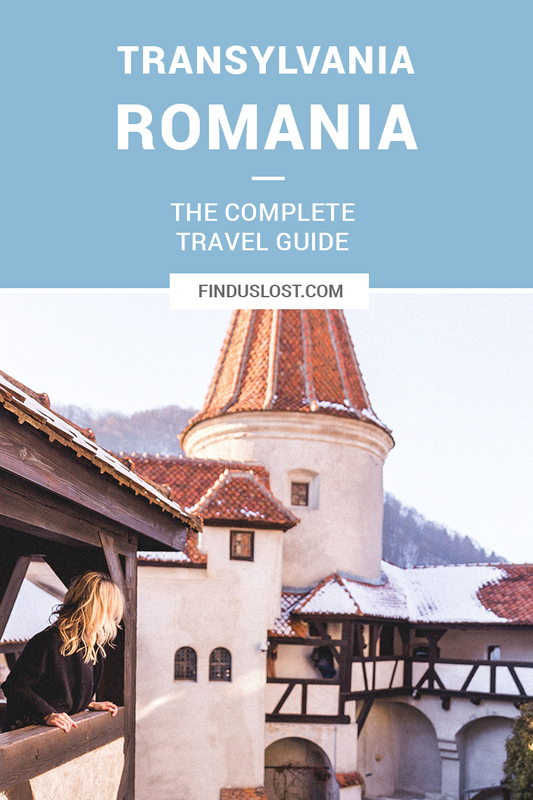 the largest city in Romania, home to countless ruin bars, museums, and restaurants. 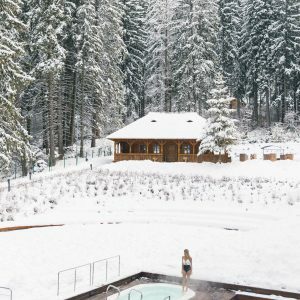 Teleferic Grand Hotel – we loved this hotel for its outdoor spa and views of the forest. 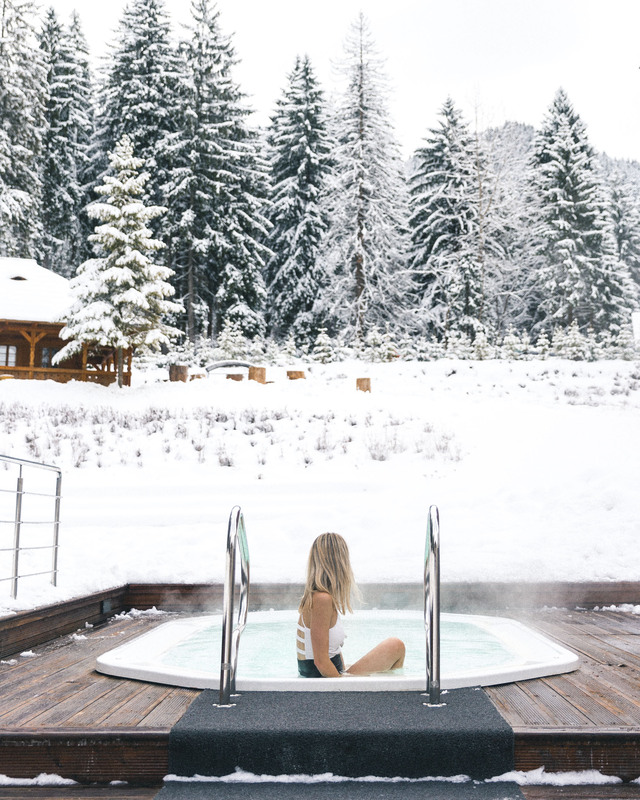 It was located in Poiana Brașov, which is a short drive away from Brașov, and is adjacent to the slopes if you’re visiting in the winter time (there’s also plenty to do there in the summer!). Balcony views with breakfast at the Teleferic Grand Hotel. 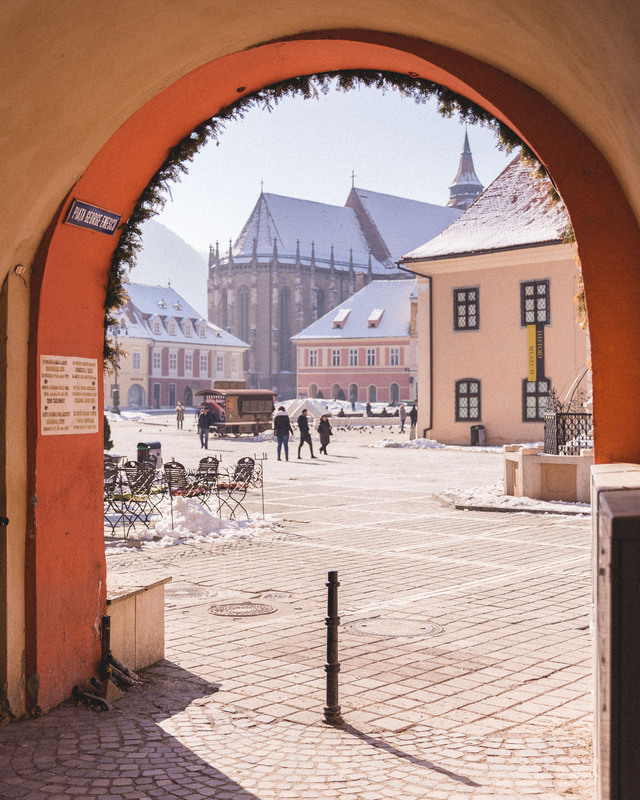 Hotel Bella Muzica – this 400-year-old hotel with medieval architecture is located directly in the historic center of Brașov, so you’re walking distance from Council Square. Dei Frati – for date night, this charming italian bistro was the perfect spot. We loved their freshly-made ravioli — and don’t forget the wine! 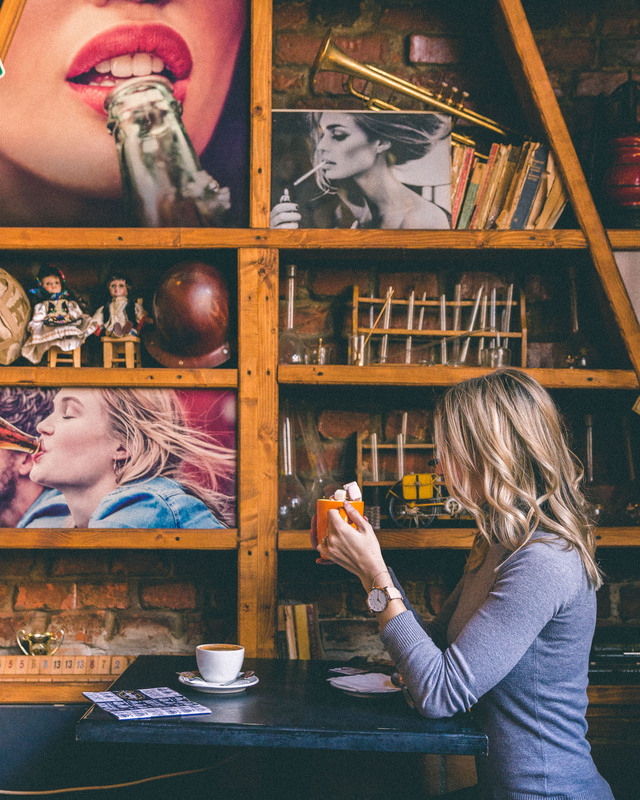 Kafe Pub – this quaint coffee house features quirky decor and ample seating. 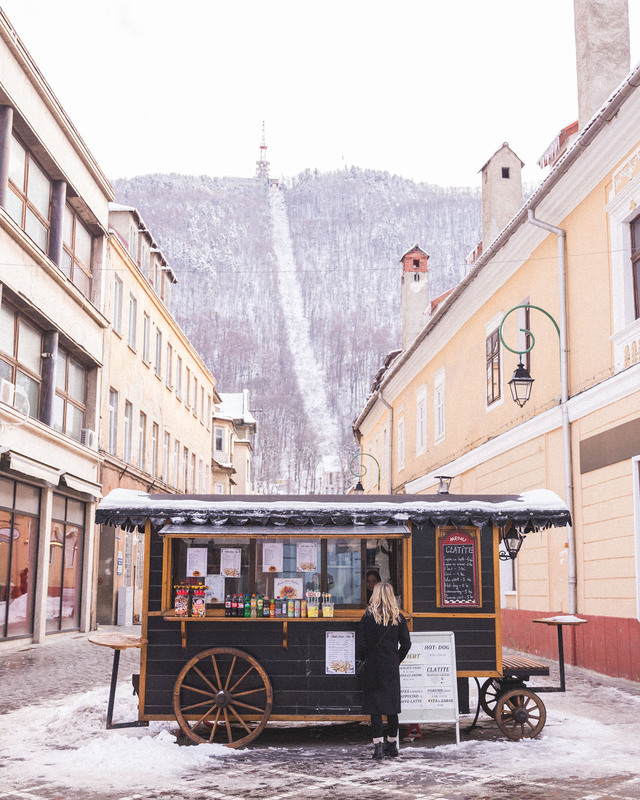 It’s the perfect spot to grab a drink and get off your feet while exploring Brașov. Lattes and hot chocolate at Kafe Pub. Gratar Urban – if you’re in need of a satisfying lunch or dinner, this burger joint located just off the main square is a great go-to. La Ceaun – we stumbled upon this old-fashioned lunch spot which serves freshly made soups and stews, and it hit the spot! Their menu rotates daily. We loved the cozy atmosphere at La Ceaun. 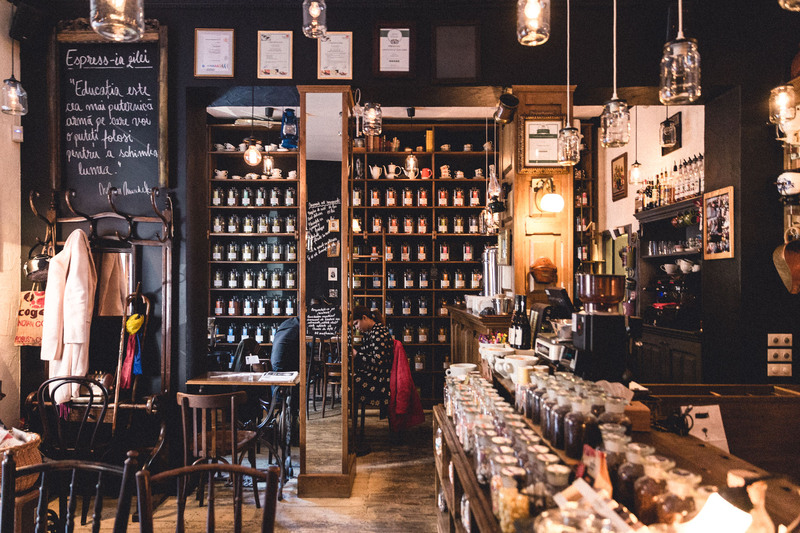 Doctor Jekelius – I couldn’t get enough of this old-pharmacy-turned-coffee-shop, which serves hot chocolate and lattes in lab beakers. At night, it turns into a bar with cocktails. What more do you need? 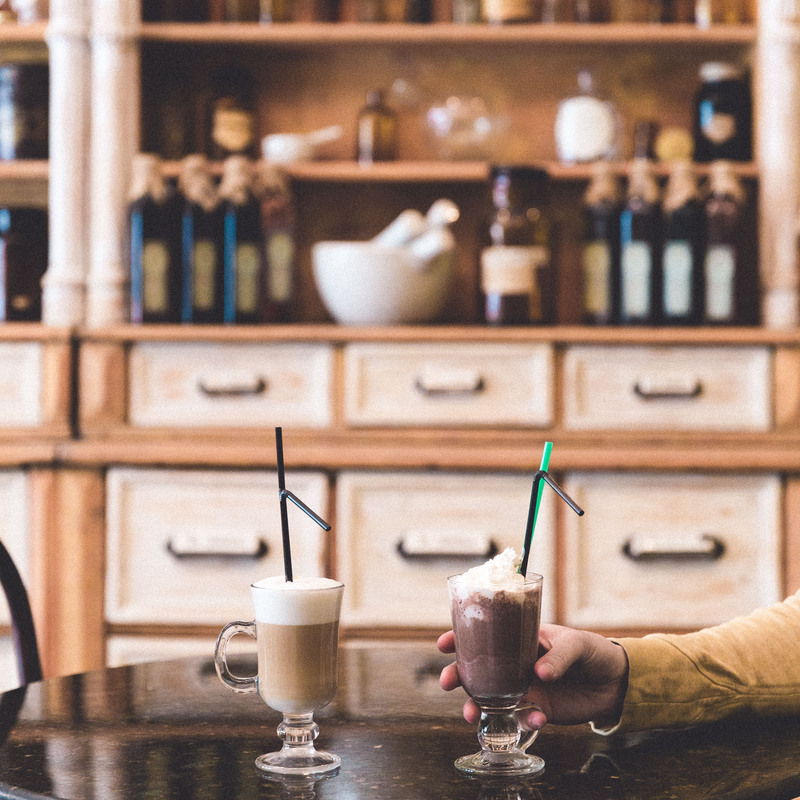 More lattes and hot chocolate – this time at Doctor Jekelius. 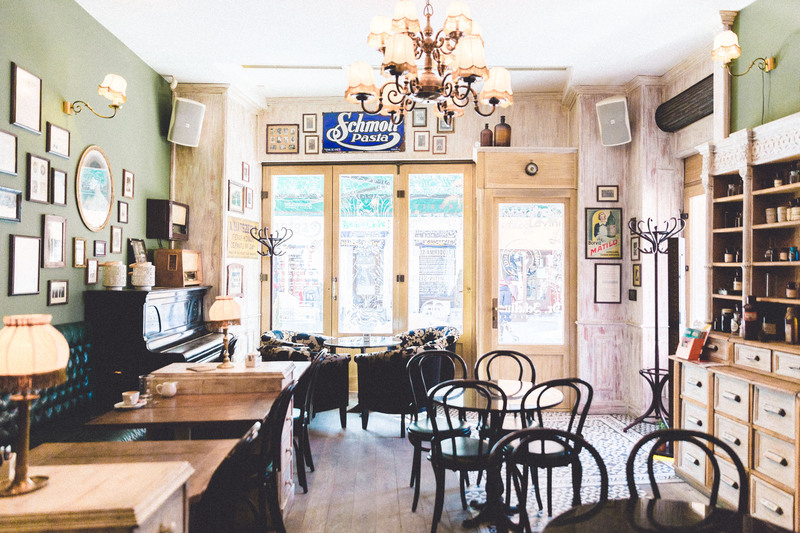 The quaint interior of Doctor Jekelius. 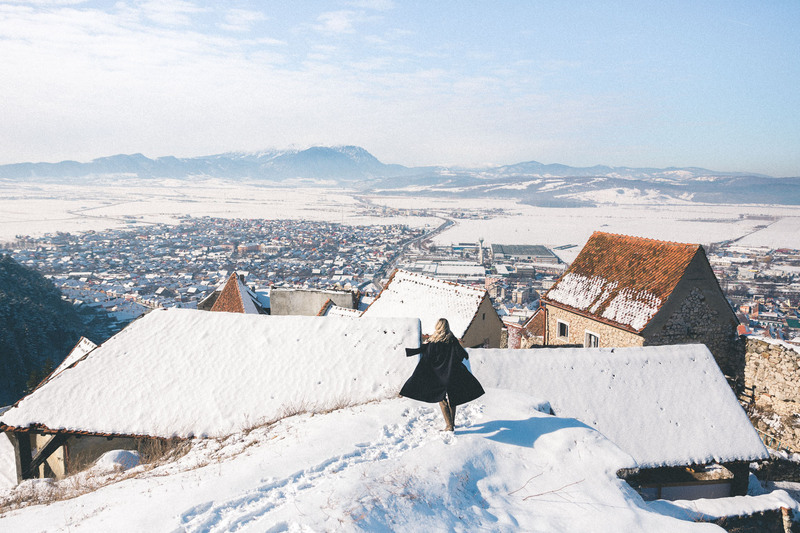 Visit the Black Tower and White Tower – both towers were built in the 15th century and provide beautiful views over Brasov. Visit the White Tower first and you can continue walking for 250m, alongside medieval walls, to get to the Black Tower. Enjoy the sunset (with drinks) – the best view of the city can be found inside the Aro Palace Hotel. Take the elevator up to the top floor restaurant and head to their bar. 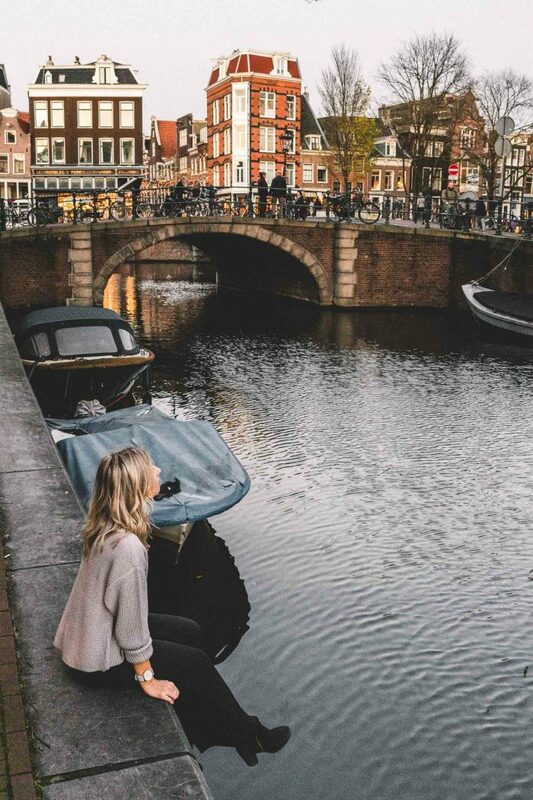 You can step outside on their patio to watch the sun go down over the city – it’s a narrow walkway, but so worth it! 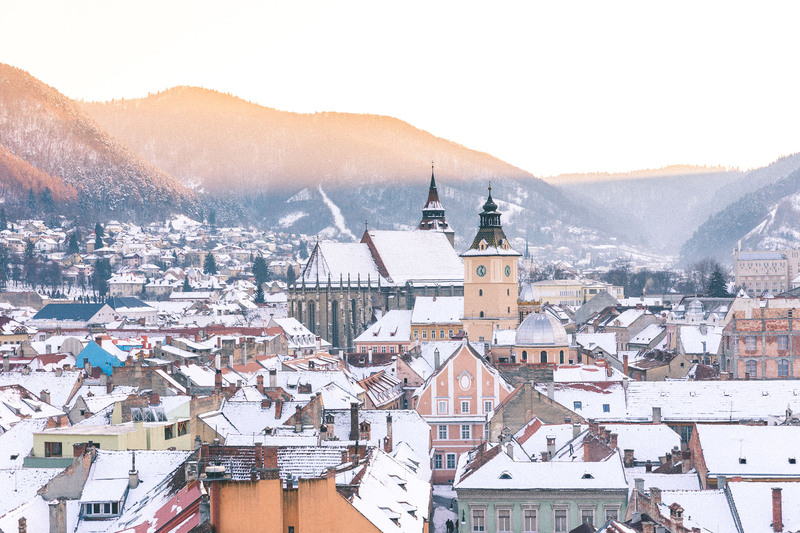 The best view over Brașov town is from the balcony at the top of the Aro Palace Hotel. 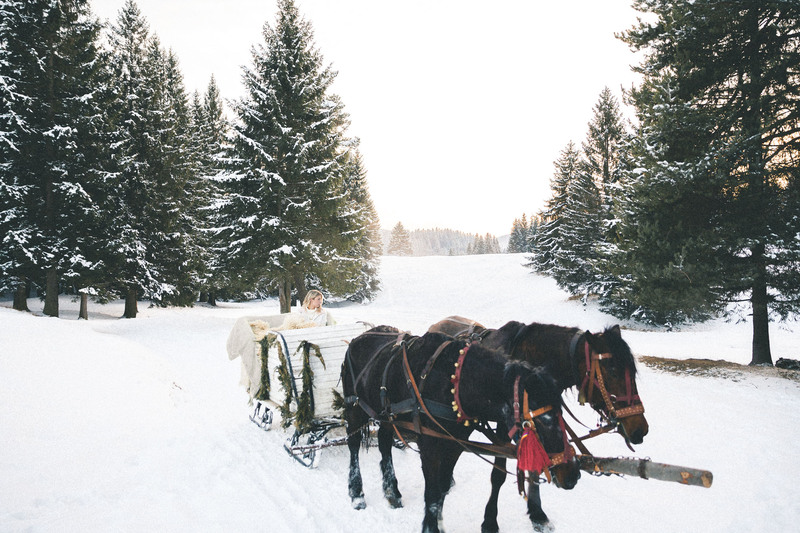 Take a horse-drawn sleigh ride – we were able to arrange a sleigh ride near Poiana Brașov just by pulling over at this equestrian facility just off the road and inquiring about availability. To avoid any language barriers, you can also ask your hotel to arrange one for you. Jacob jumped out to grab this photo of our sleigh ride right as the sun went down. 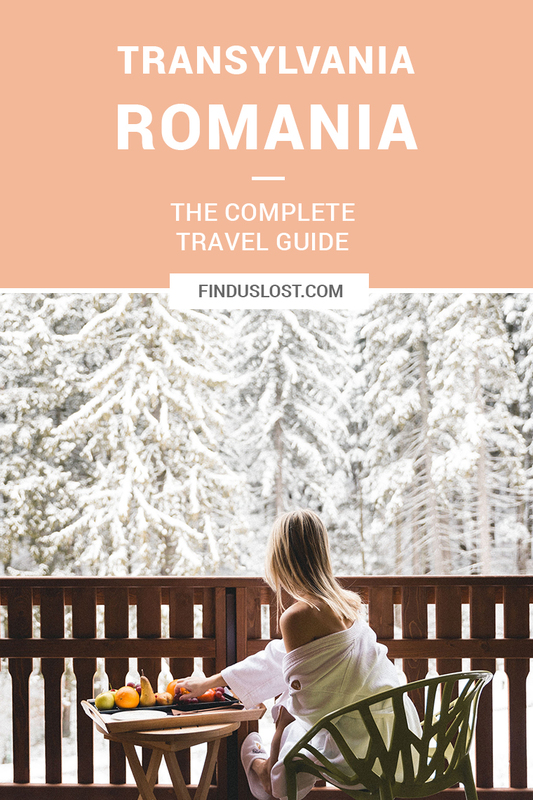 Go skiing in winter – you’ll find that a lot of European tourists visit Romania to ski, since it’s a much cheaper option than resorts in Switzerland. The slopes are located in the Poiana Brașov area and totally worth visiting! 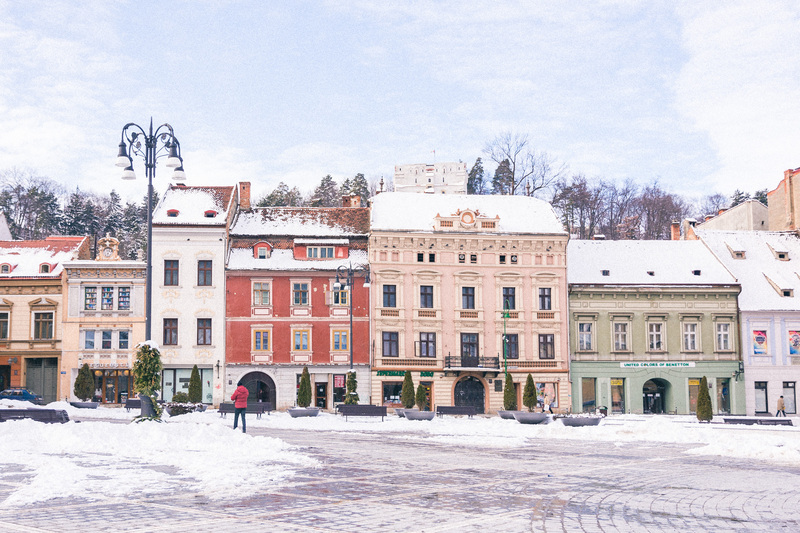 Explore Brașov town – I’d recommend starting at Council Square and wandering down the side streets. For gift shops and boutiques, head to Piata Sfatului, as well as Republicii and Muresenilor streets. 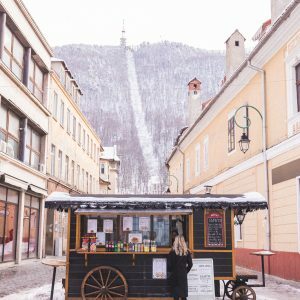 On the hunt for a Kürtöskalács Chimney Cake in Brașov town. Eat: traditional Romanian cabbage rolls (Sarmale) at Casa Ferdinand. 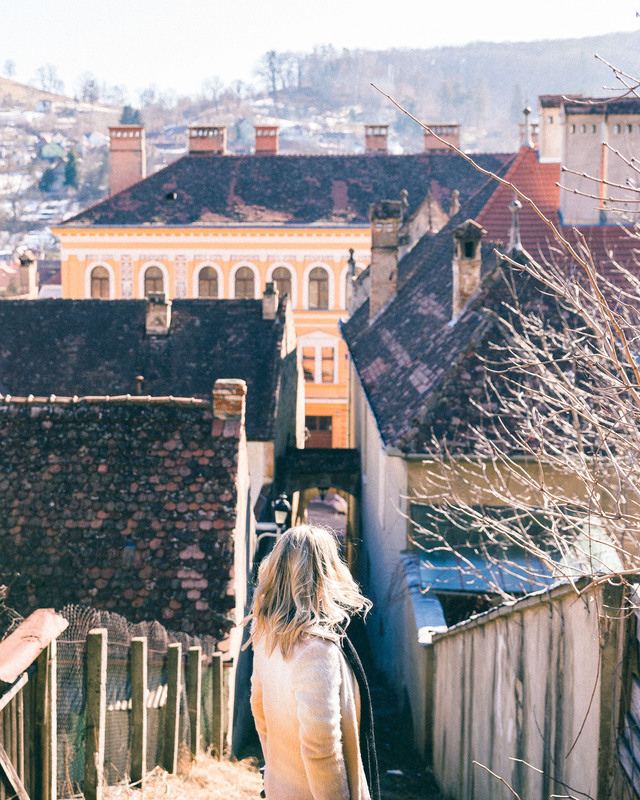 Visit: the Church on the Hill with its adjacent cemetery and covered stairs, the old Clock Tower and Sighisoara Historical Center for views over the city, and Casa Vlad Dracul (skip the tour!). Stay: view hotels and overnight options in Sighișoara. 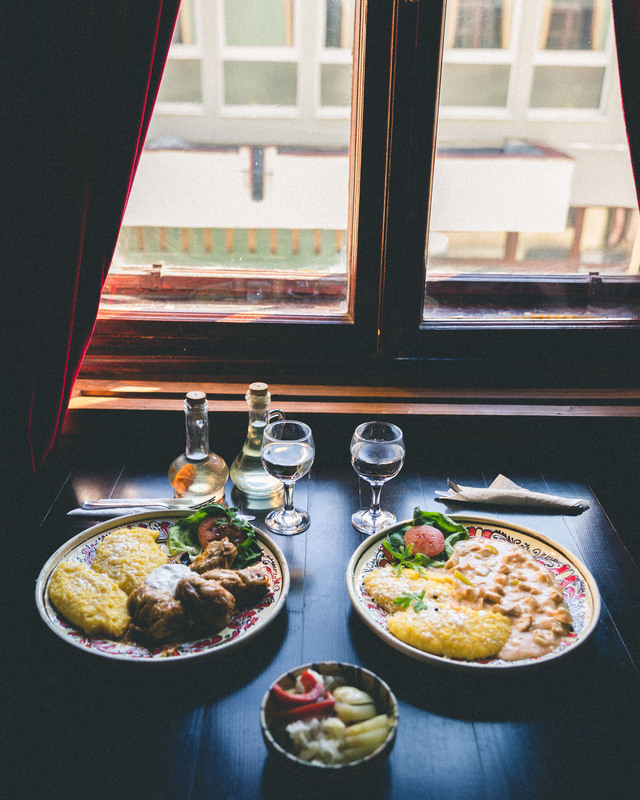 Traditional Romanian comfort food at Casa Ferdinand in Sighișoara. Rooftop views from the old clock tower in Sighișoara. 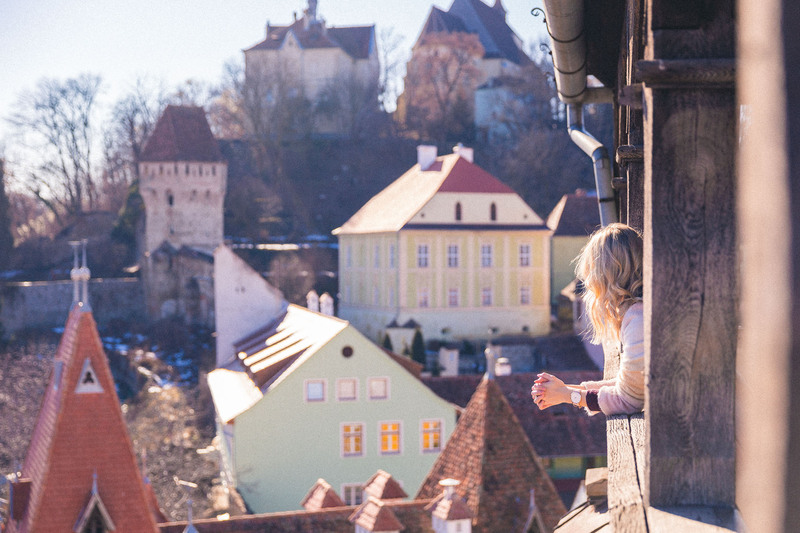 Sighișoara is full of colorful buildings and rooftop views of the town. Eat: with a view of the Râșnov Citadel at Hotel Radsor’s restaurant. Visit: the well-preserved Râșnov Citadel en route to Bran Castle (otherwise known as Dracula’s Castle). 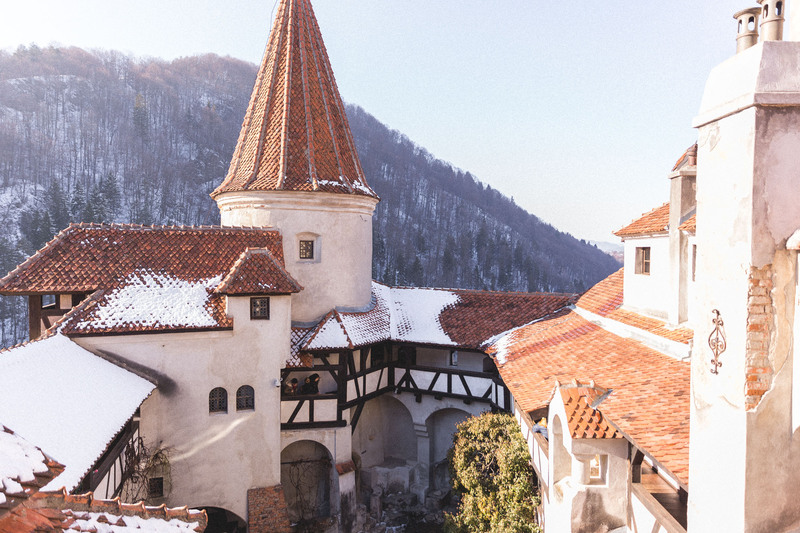 The courtyard of Bran Castle. 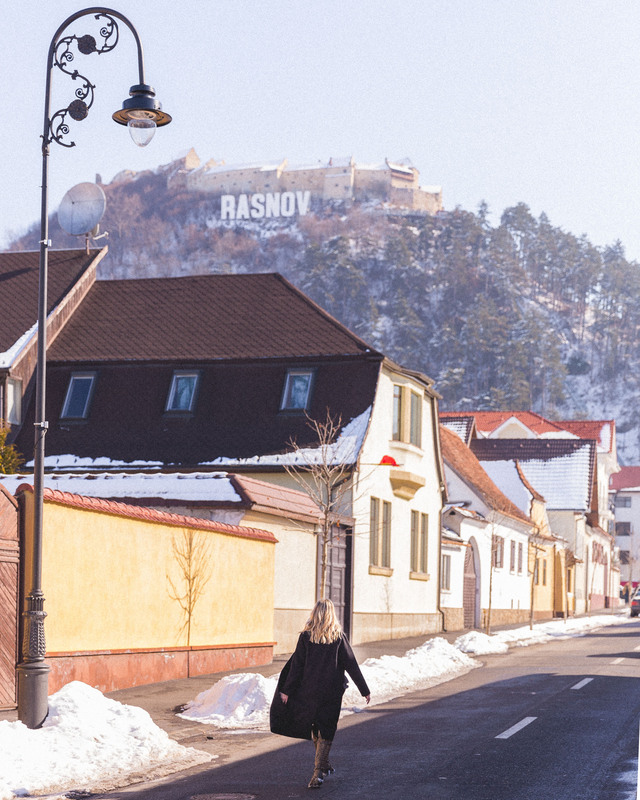 Wandering the streets of Râșnov town. Spinning on the rooftops of Râșnov fortress. 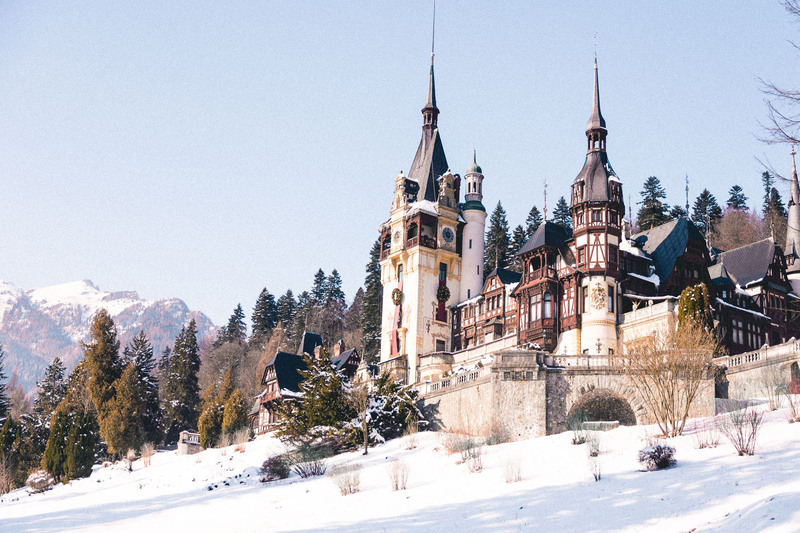 Peleș Castle in the snow. A great stop en route from Brașov to Bucharest. 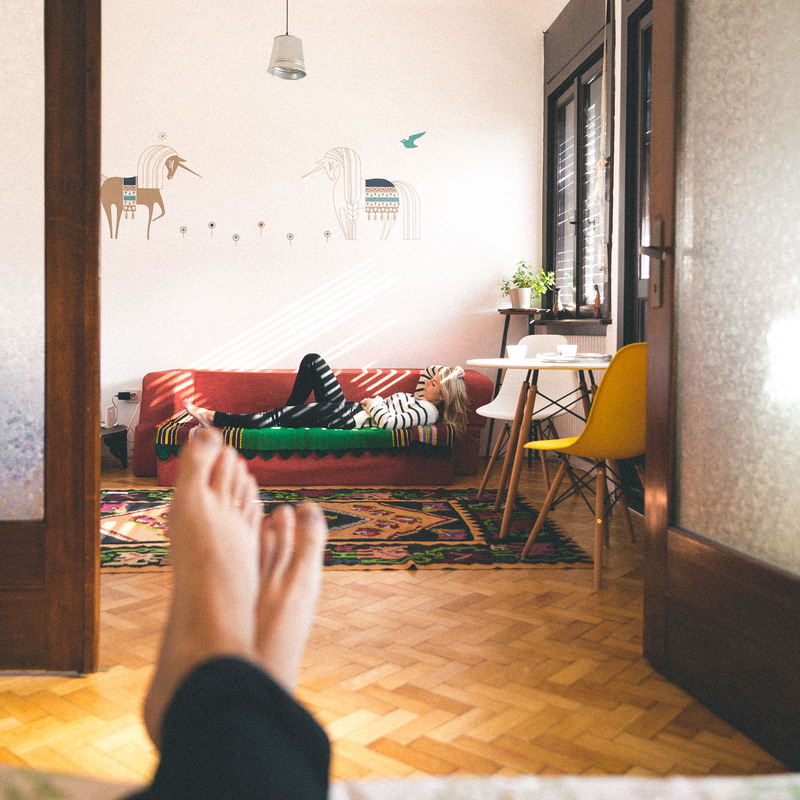 Airbnb – we found a local Airbnb in Bucharest that was conveniently located near the city’s old town. Here’s a link to claim $40 off your first Airbnb booking! Our Airbnb in Bucharest, close to the old town. Hotel Cismigiu – this historic hotel was recently remodeled and is a great option inside the city. It houses two restaurants, one of which is a brewery, so you’ll always have somewhere close by to eat. Hotel Epoque – this luxurious hotel with a full-service spa is located next to Cismigiu Park and is a short 15 minute walk from Bucharest’s old town. 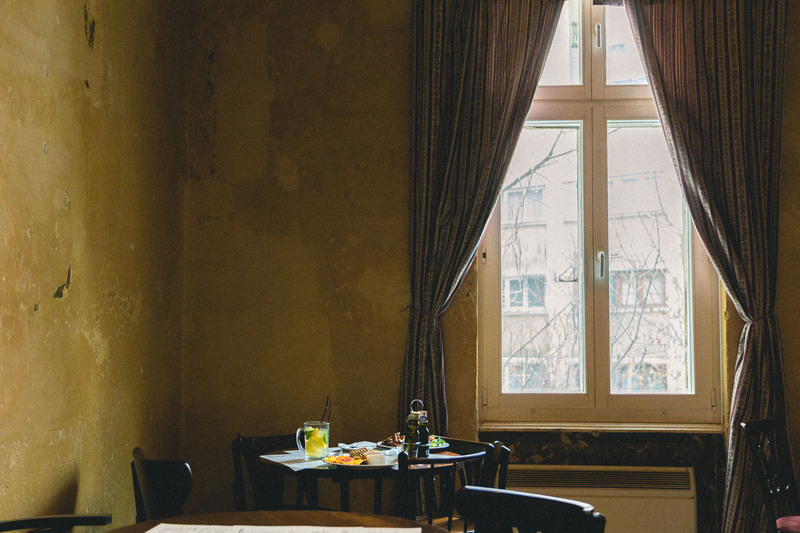 Dianei 4 – hands down one of the coolest restaurants we’ve eaten at. 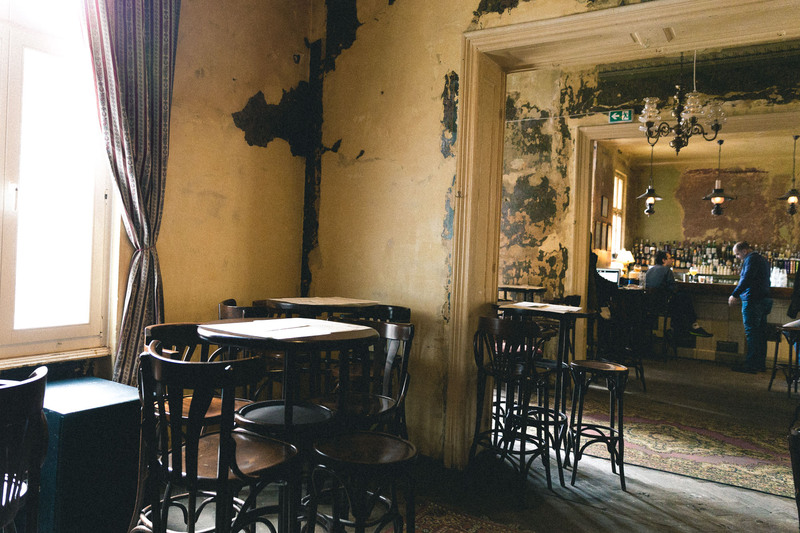 This café was fashioned out of an abandoned, destroyed house after both world wars and is now a trendy spot to eat, hidden within the main city. We had this room all to ourselves for the majority of our meal and it felt like a private lunch. Dianei 4 restaurant, which was previously an old house. Caru’ cu Bere – we just had drinks here, so I can’t personally vouch for the food, but the architecture alone is worth going for. The first floor is vaulted and built Neo-Gothic style with elaborate stained glass windows and carved wood panelings. Camera Din Față – this old-fashioned coffee shop serving teas and pastries was my favorite place to start our days in Bucharest. We loved Camera din Fata for its fresh teas and coffee. Beca’s Kitchen – this cozy restaurant is a local’s favorite and serves homemade seasonal specials. Don’t forget to make a reservation! Restaurant Joseph – for a night out, this restaurant has it all – fresh seafood and pasta dishes, fine wines, and a warm and inviting atmosphere. Shop at the Carturesti Carusel – arguably one of the most photogenic bookstores I’ve been to, this beautifully designed shop sells great gifts to take home, and of course: books! 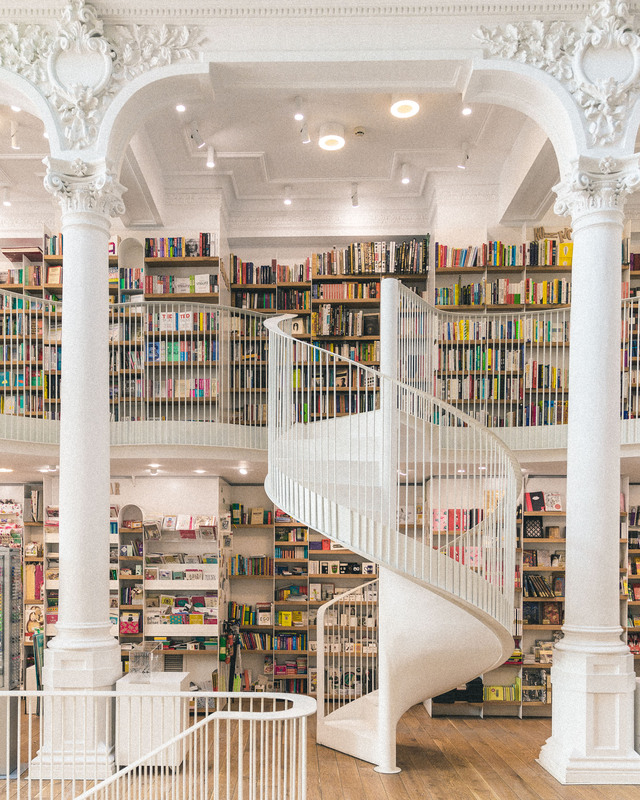 The interior of Carturesti Carusel bookstore in Bucharest. 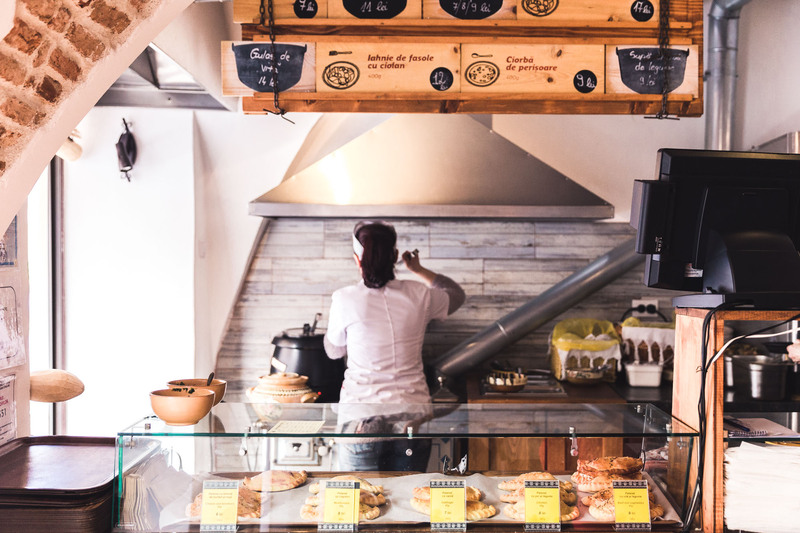 Eat at Food Hood – this is Eastern Europe’s biggest street food market, which basically means: you won’t go home hungry. 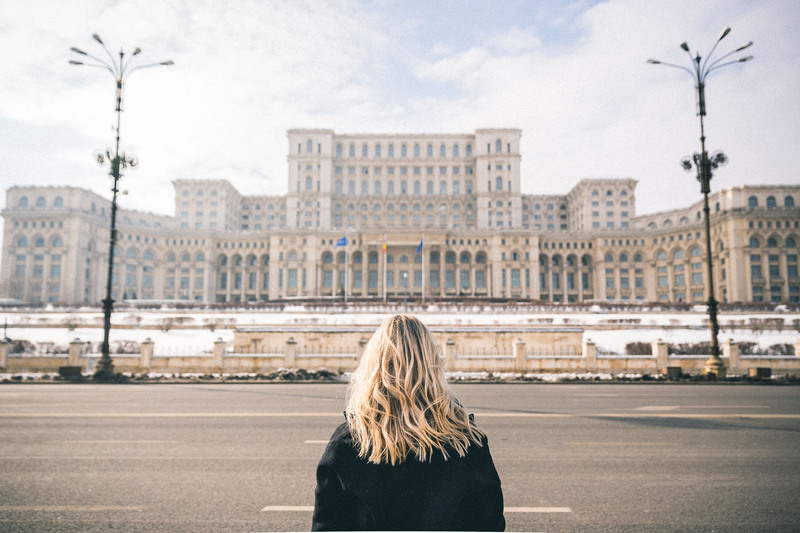 Visit the Palace of Parliament – second only to the Pentagon in size, the Palace of Parliament is a must-see while in Bucharest. We weren’t able to tour the inside while there, but according to Lonely Planet there is an entrance open to the public you can access with a passport. The grand Palace of Parliament in Bucharest. Attend an event at the Palatul Noblesse – I had this palace on my list to visit, simply because the interior looked absolutely stunning. You won’t be able to visit unless you have tickets to an event, but it’s worth checking a schedule just to see if your timing lines up! Tour Stavropoleos Monastery – this old monastery is located right directly in the Old Town of Bucharest. It’s worth visiting to experience the architecture and picturesque gardens. 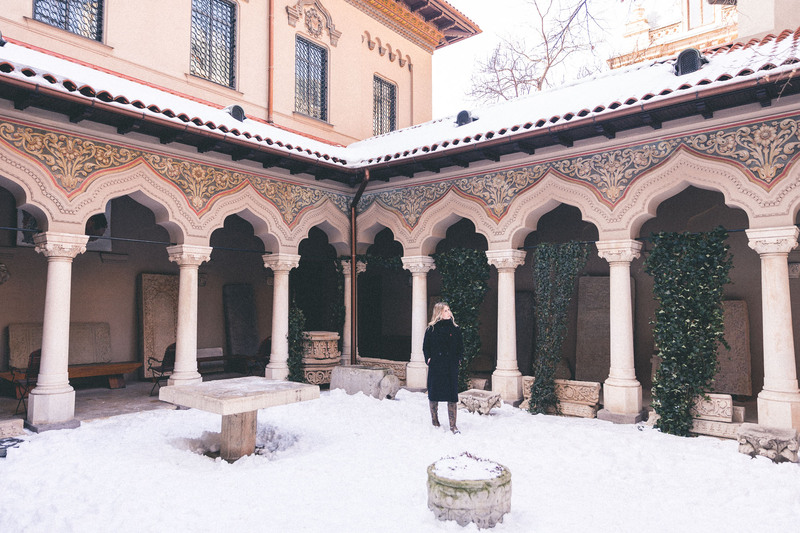 The courtyard of Stavropoleos Monastery in Bucharest. Romania uses the Romanian Lei, not the Euro. I’d recommend having keeping cash on hand for smaller purchases. 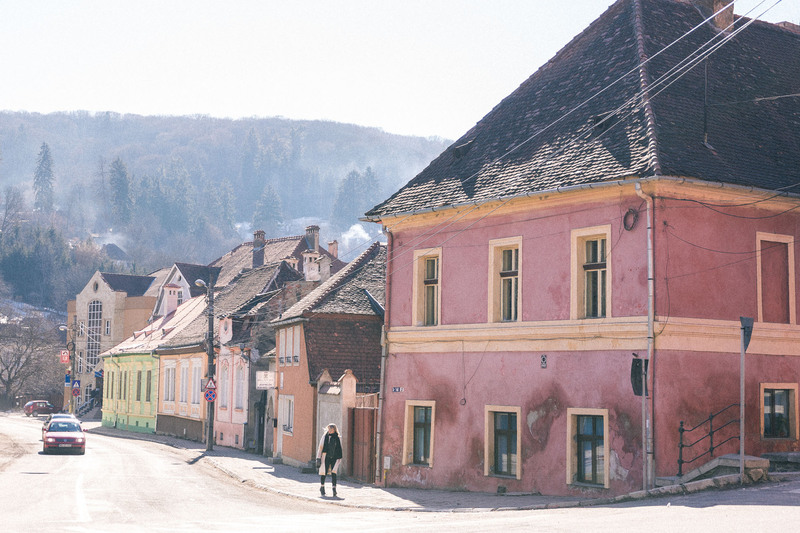 Renting a car to explore Transylvania and visit small towns is key. We did this trip by car and it worked perfectly. Bucharest is not as picturesque as most cities and definitely more gritty – but it’s safe and has lots of charm if you know where to look. 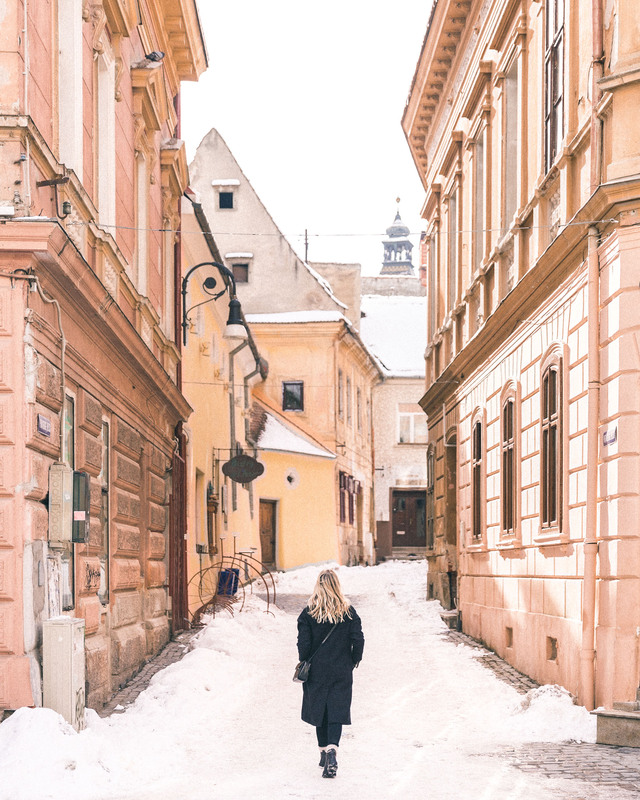 If you’re planning a trip to Romania, I highly recommend staying in the town of Brașov — read more about our experience in Brașov here. 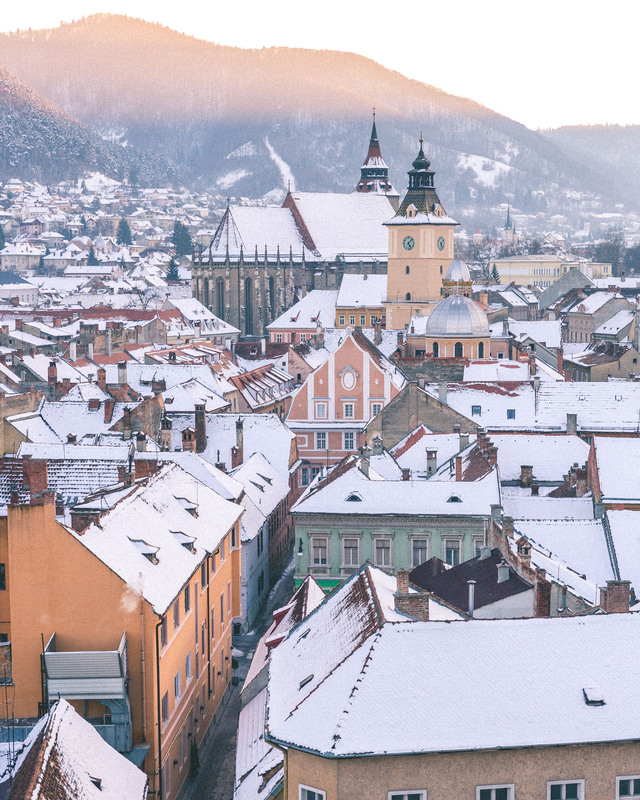 When we make it back to Romania, our plan is to visit Sibiu and Timisoara. I’ve also heard Pelisor Castle is beautiful. 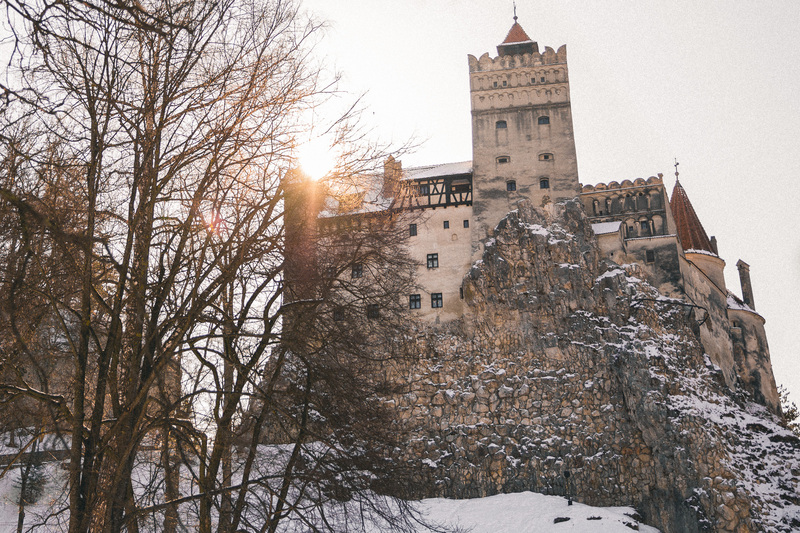 Don’t miss our 1 minute video from our time in Transylvania! Yesss! 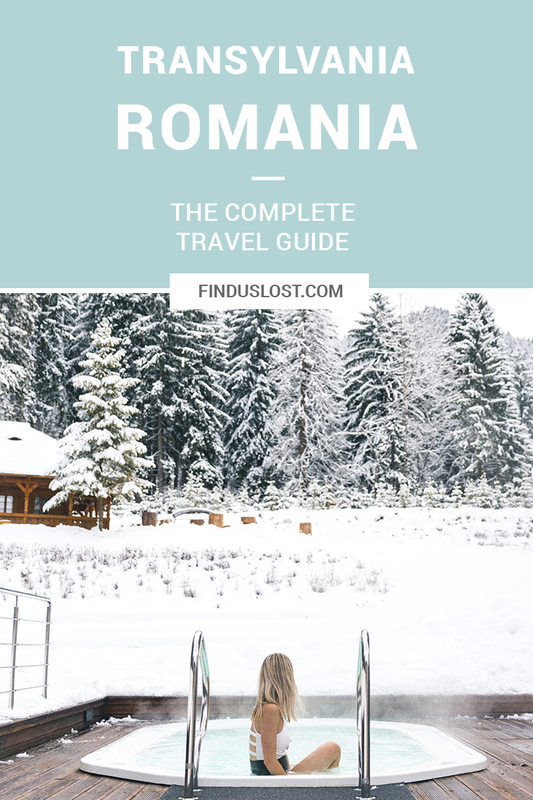 Romania is so incredible – definitely worth a spot on everyone’s bucket list. Hi! It’s Sarah K (@lusttilldawn). Saw your post via IG and OMG it looks so amazing. I showed it to Mike and told him I want to do this! 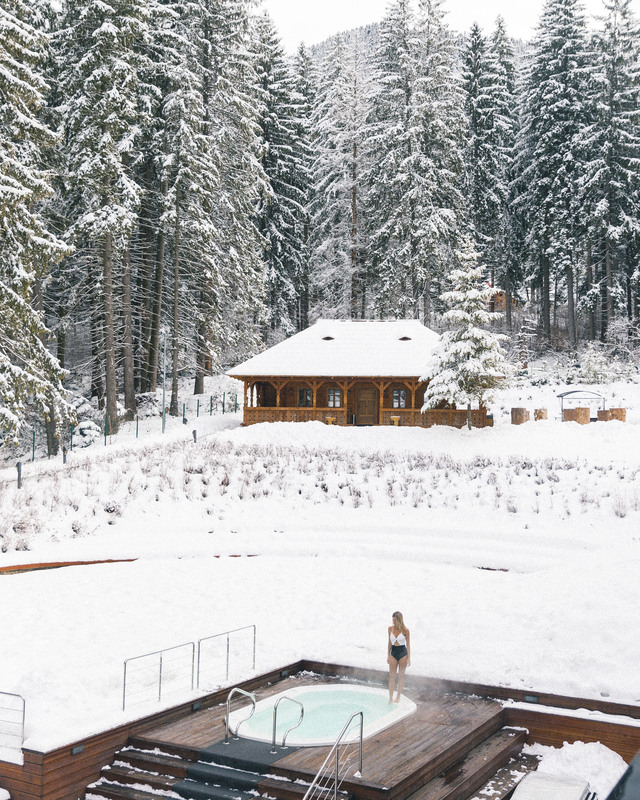 Between this and that cute little town in France you went to, I have my next winter booked already. Your photos are beautiful. Thanks for sharing! It looks absolutely beautiful! I have a few friends who have gone to Romania and everyone says it’s lovely there. Love to hear that! It’s a truly unique (and beautiful!) country. We’d love to see both! Thanks Diana. 🙂 You certainly have some amazing cities and landscapes in Romania. Amazing pictures! I will be there for two weeks in April and I cannot wait!